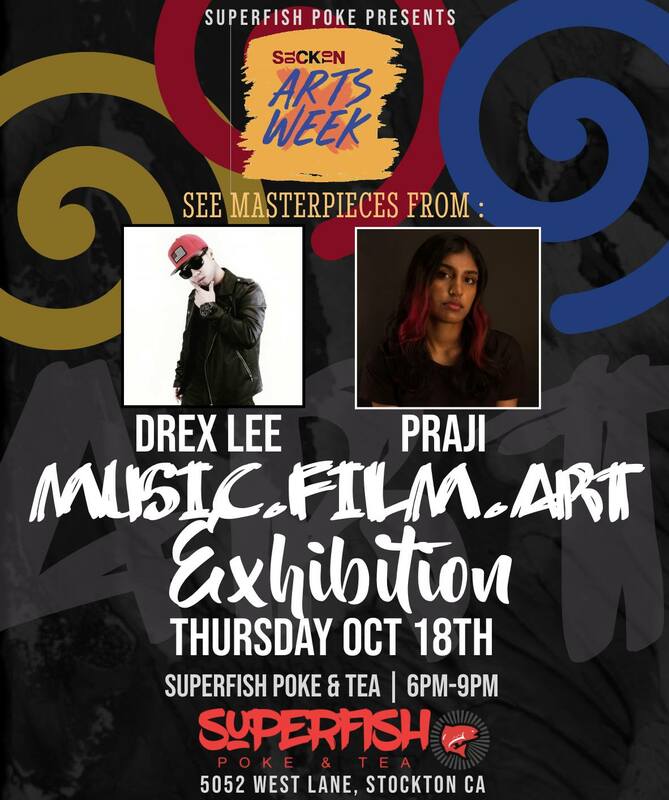 Experience a carefully curated journey of the arts at SuperFish Poke & Tea celebrating Stockton Arts Week. See masterpieces from Film Maestro Drex Lee and hand-drawn art from celebrated artists Praji and Leftoverz from 6pm to 9pm. Admission is free.